While learning martial arts provides many obvious benefits — such as understanding self-defense techniques — it can also provide benefits in some surprising areas like your career. Many people are surprised to learn that this type of training can have a positive effect on their career. That’s why the experts at 914 Training Center, based in Scarsdale, NY, have dedicated themselves to helping you understand every aspect of such training. In fact, they put together the following guide that outlines how it can help your career. How Can You Benefit From Martial Arts? 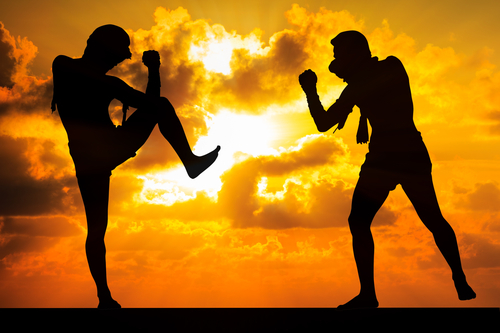 People often experience many benefits from their martial arts training. For example, it teaches them how to focus on the important matter at hand while ignoring distractions. Because this training can be difficult and requires long-term development, many people also learn dedication. The more they practice their training, the easier it will become, teaching them the virtues of perseverance and dedication. Finally, many students of martial arts gain improved self-confidence through their training. As they develop their skills and become more effective, they gain confidence in their ability to learn new skills and accomplish difficult tasks. While these elements are beneficial to training, they can also be applied to other areas of life, including your career. For instance, focus is critical for any job. If you want to be efficient and productive at work, you need to learn how to ignore distractions. Not only will this help you avoid procrastination, but it will also help you stay focused when you are stressed. Rather than letting that stress distract you from your work, you’ll be able to stay focused. Additionally, careers are often filled with long-term projects that require a significant amount of dedication. Gaining a better understanding of this quality through martial arts will allow you to tackle large projects at work. Finally, managers and other company leaders are sure to notice improved confidence. This will help you to take on work assignments that you may otherwise shy away from, which can lead to better opportunities in the future. If you’re interested in boosting your career with martial arts training, turn to an expert. At 914 Training Center, they offer various classes, including Muay Thai and Krav Maga, and these professionals can help you shape your mind and body. To learn more about their program, give them a call today at (914) 437-5353. You can also like them on Facebook for the latest updates.